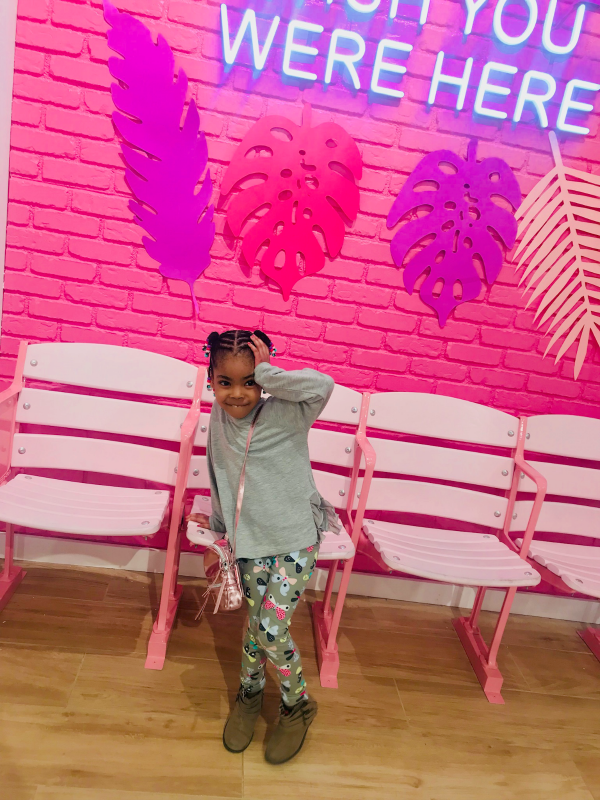 This past weekend, we went and checked out a super cute new store at Ridgedale Mall called Riley Rose! This store is basically the super cute and girly little sister of Sephora and we absolutely loved it! I actually have another post specifically on the store coming next week so I'm not going to go to much into detail about the store on this post, so stay tuned! My mini-me is getting all the attention today on the blog haha. She's in a "mommy take my picture" phase so she was super excited to get some OOTD flicks in! Outfit Details - 90% of her outfit is from Target (surprise surprise lol) The shoes are from Marshalls. The bag is actually a woman's handbag and it was from the holiday season so it's no longer on the site. Plus I actually got it from Goodwill brand new for $4! SCORE! It was like $15 regular price and I almost bought it like 30 times (yea I go to Target almost daily haha) so when I saw it at Goodwill I was pretty excited! Here's To Having The Best Week! You Go Girl!